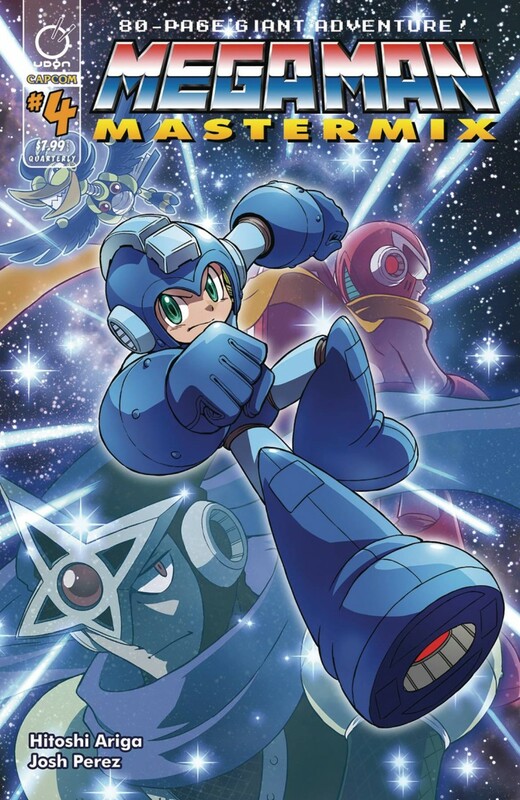 The Blue Bomber returns to comics through the classic stories of Japanese artist Hitoshi Ariga—available for the first time in color! Mega Man must team up with friends and foes alike to stop both the destructive Gamma robot, and the out-of-control Yellow Devil! It’s a giant robot rampage in the latest chapter of Mega Man Mastermix!